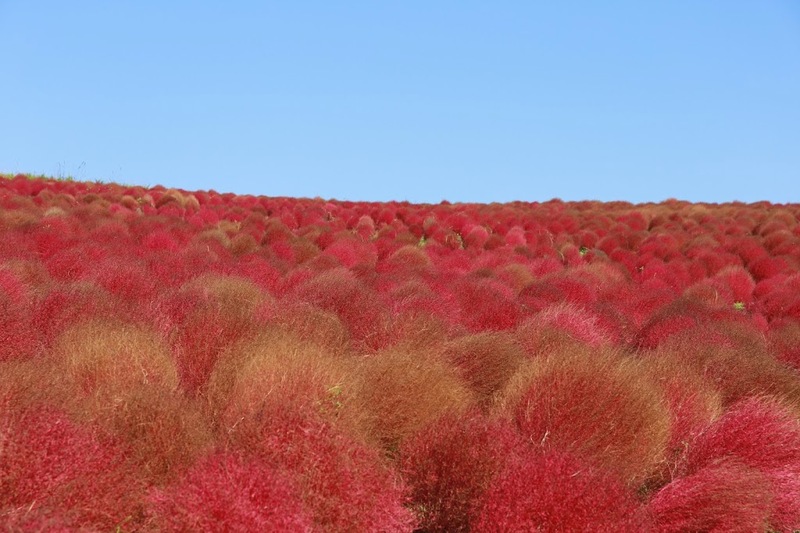 Around 32,000 kochia scoparia turn into red in autumn forming a breathtaking red carpet under the blue sky. 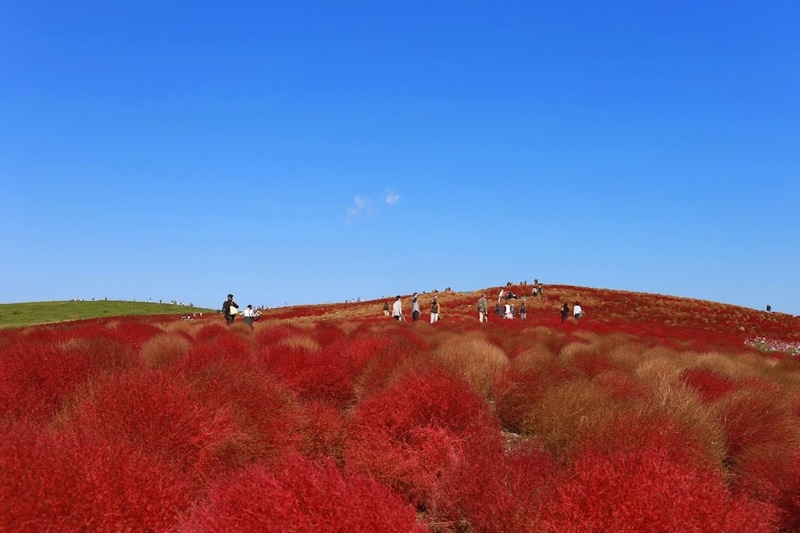 Most of people know the park for nemophila blue or baby blue eyes in spring but autumn in the park is equally beautiful. 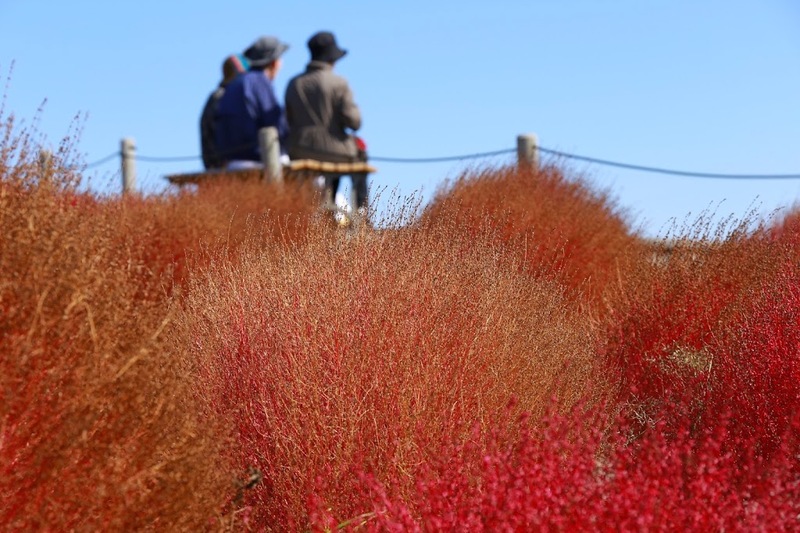 Because not many people know about kochia scoparia, the park is not as lively as it is in spring. It is somehow a blessing for pictures taking purpose. 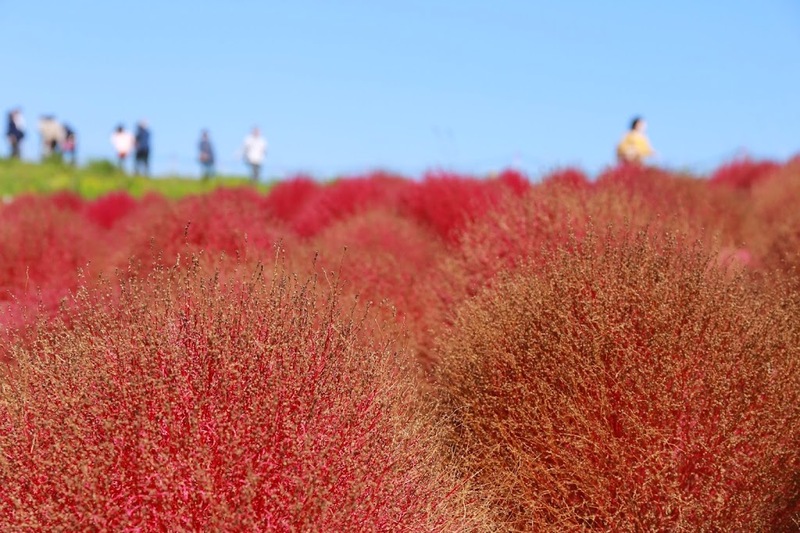 Kochia scoparia is green at the beginning of its life. 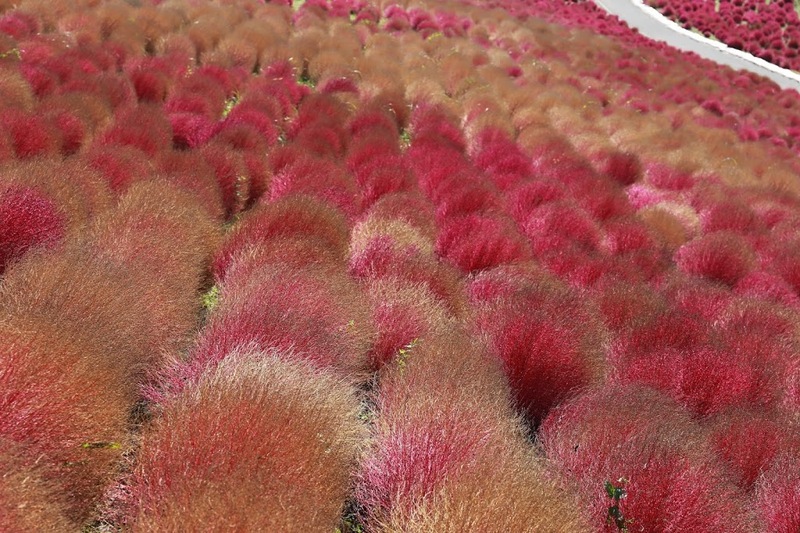 It turns red as soon as the temperature drops. 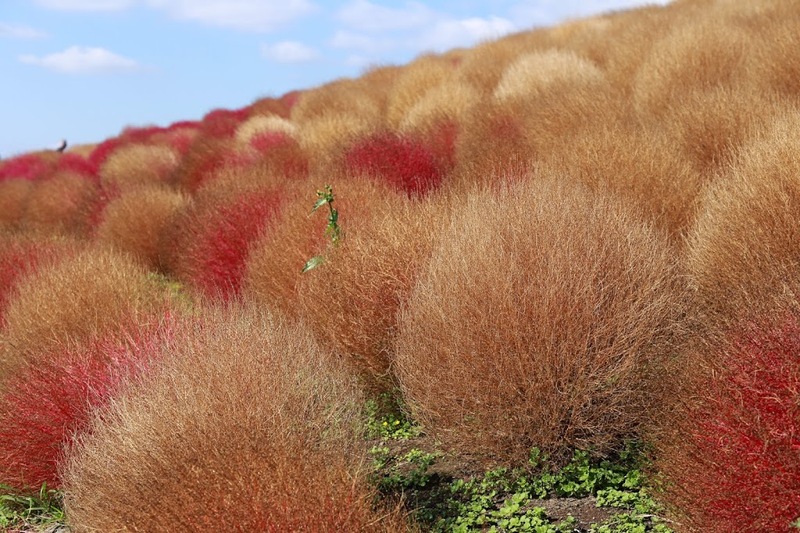 At the end of its life cycle, this plant turns to brown. We went to this park by the end of October. 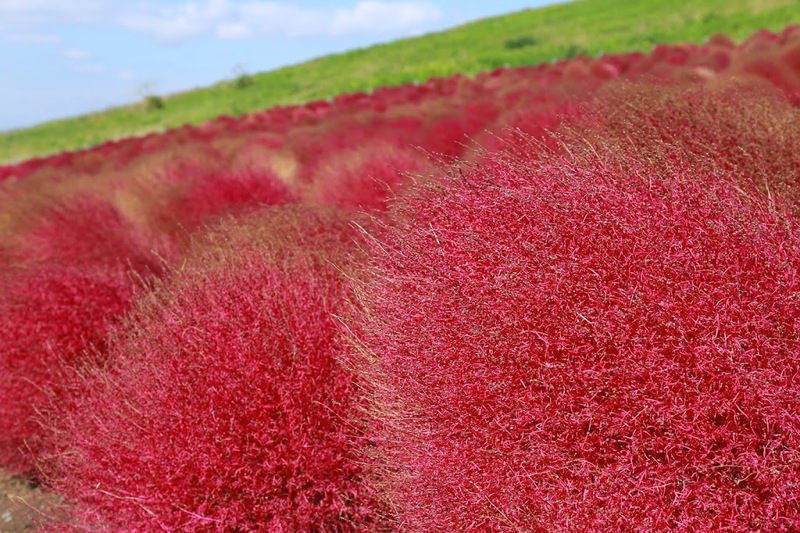 Although most of the plants were still red at that time, many of them already brownish. 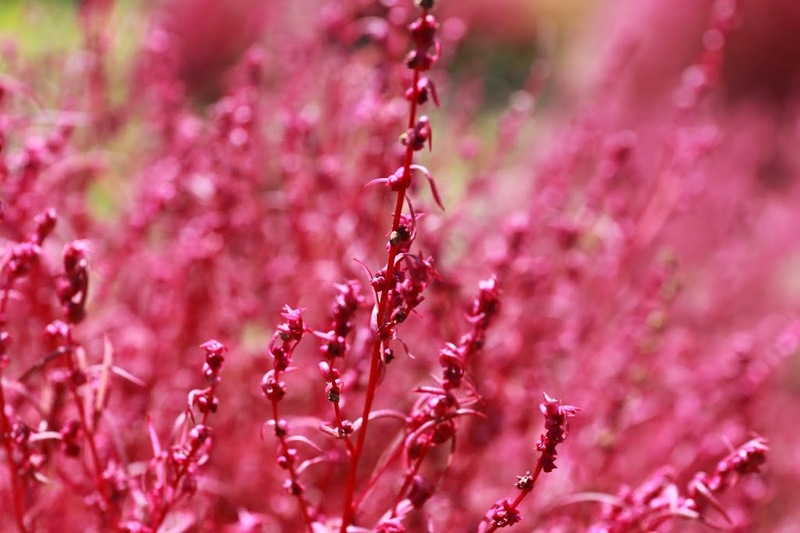 It was a perfect colour for us as we did not want to see red only. A combination of colour is a great thing. 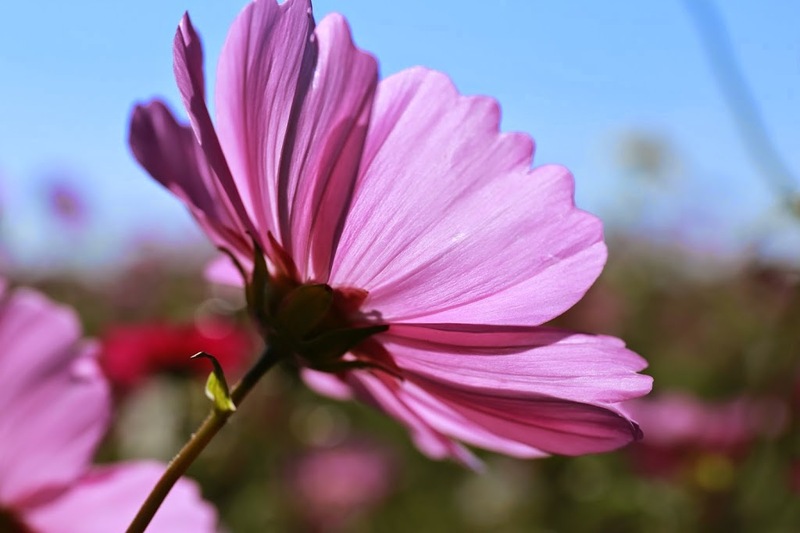 There were cosmos flowers adjacent to the kochia but almost dying at that time. Brown, red, green and blue in perfect harmony. 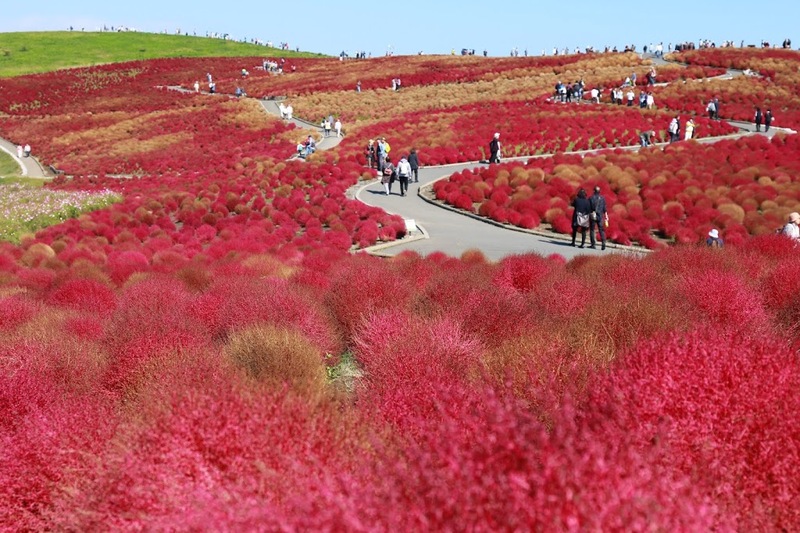 It is not allowed to step inside the plants area. 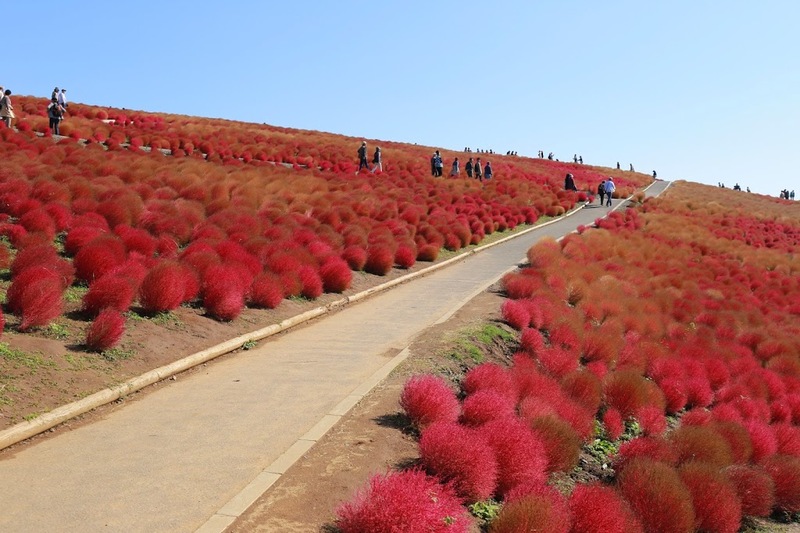 Guests are to walk on this walking path only. Let’s get up close and personal. 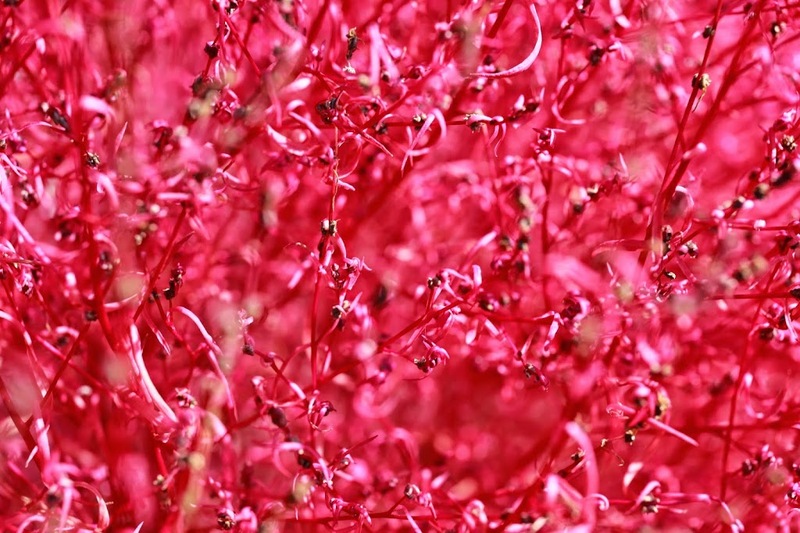 Kochia scoparia is not that beautiful under micro lens. 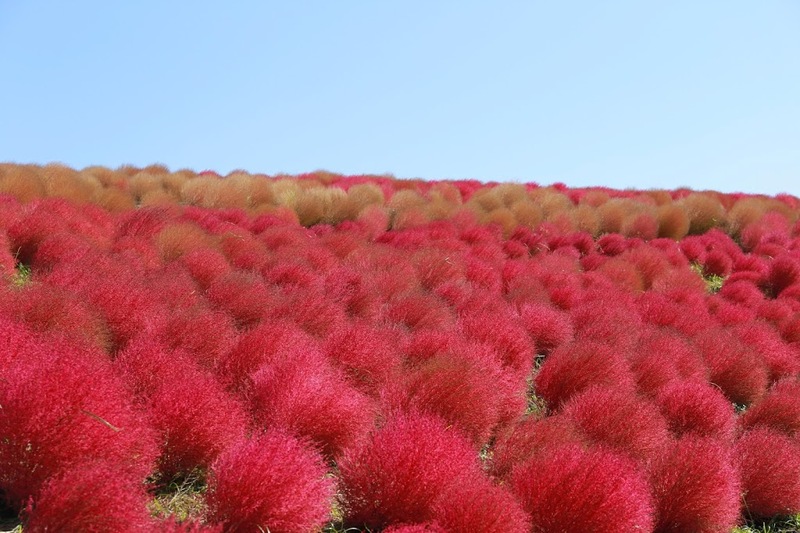 Kochia scoparia at the end of its life cycle, still charming. 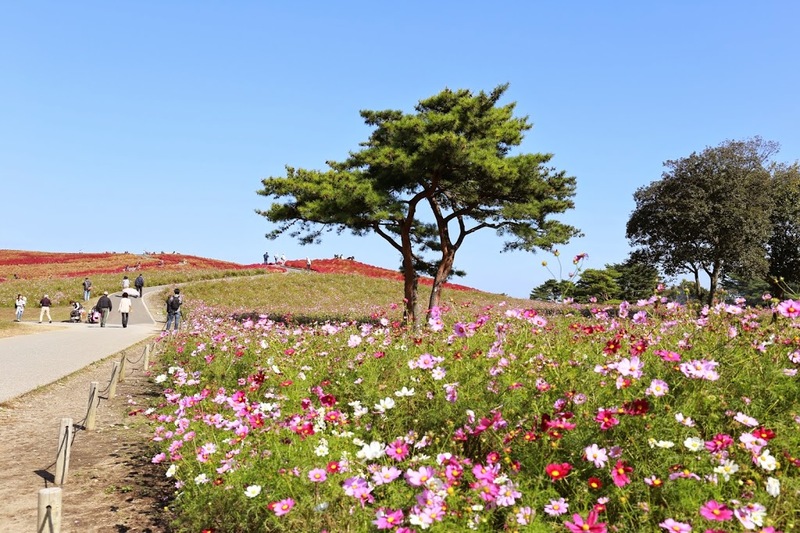 Cosmos flower also blooms in autumn in this park.